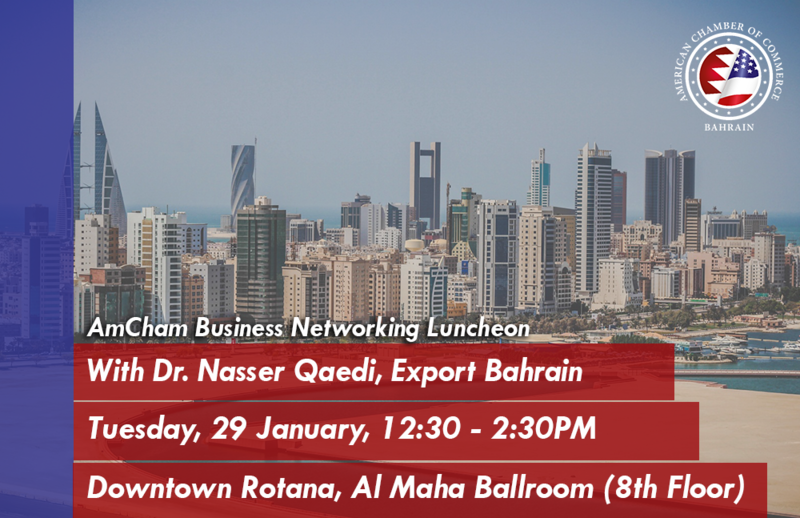 Dr. Nasser Qaedi, Executive Director of the newly launched Export Bahrain initiative and the Export Development Centre will speak about the programs and resources being made available to develop and support companies to export goods and services from Bahrain. Free hotel parking and valet service available. Payment may be made by cash or check (made to American Chamber of Commerce in Bahrain) at the event. If you prefer advance payment by bank transfer, please contact us for the details.